Going in I was hoping for something big. Coming off the Wii U Nintendo was in a bad place and they knew it. All their actions surrounding the Switch made clear Nintendo understood this and was working to prevent the glaring issues facing the Wii U’s troubled lifetime from transferring over to the Switch. This presentation cast that view into serious doubt and while not a total let down, the presentation left much to be desired and introduced issues the Switch will need to address. 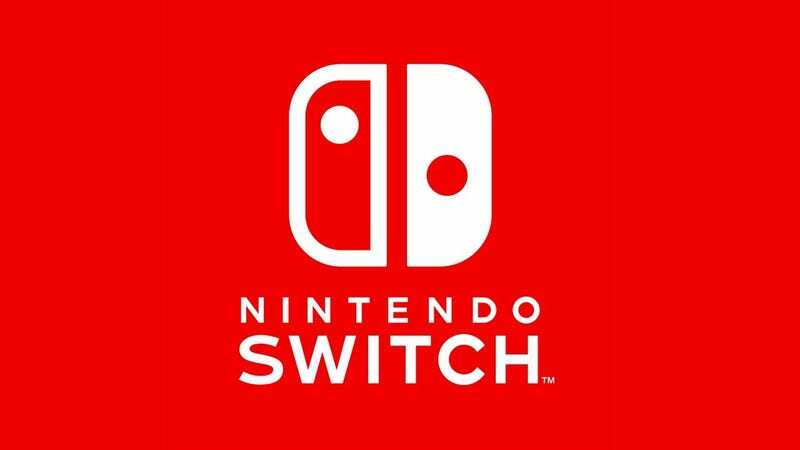 That being said let us talk about some of the good aspects surrounding the Nintendo Switch at the moment. Zelda: Breath of the Wild is finally coming out, after years of waiting the first true and proper High Definition Zelda game will be making it’s ways to a home console (and handheld hey that’s cool). That being said this being one of the high points of the presentation was one of its biggest weakness. We knew Zelda was going to be there, we’ve seen it running on the Switch. We knew it was delayed to give the Switch a kick in the pants at launch to give it a game to grab people fans in a way the Nintendo Wii U never had. As such it wasn’t surprising, it was expected and no matter how cool something is (and man that trailer did look GOOD) if it is expected it can’t really shock or excite somebody. Moving on from Zelda there are some cool games coming to the Switch which I am genuinely excited for. Some stand outs was the confirmation of a new No More Heroes by crazy director Suda51. Fire Emblem Warriors continues the noble tradition of turning big franchises into Dynasty Warriors clones, I mean it worked from Dragon Quest why not for Fire Emblem too. Even if the whole point of Fire Emblem is antithetical to Dynasty Warriors style hack and slash. However all those pale in comparison to one game in particular that in the future will likely force me to get a Switch. That being Xenoblade Chronicles 2 which is interesting as it is not a follow up to the Wii U’s Xenoblade Chronicles X giving me hope that game may see second life on the Switch yet. However despite being a Switch Exclusive JRPG it was the presentation not the product that was a turn off, something that would become a theme of the press event. You see it was merely a teaser, a lot of running and kind of pretty environments. Teasers are great but they’re nothing but promises and coming off a year where we finally got a game that was first teased a decade previously- well, call me jaded however I need more now especially if it is supposed to sell me on a new console. The same issue affected the next game which I really should be more excited for but sadly am not. Shin Megami Tensei Switch which I have no idea what to think to be honest. First things first, as it stands we do not know if this is an exclusive title to the Switch, both Nintendo and Atlus have given no information one way or the other on this. Hell we don’t even know the name making me highly skeptical this will end up being Shin Megami Tensei V, I’m thinking it is much more likely to be a spin-off at this point. Which is disappointing as we are in the 25th Anniversary of the franchise and a teaser of a far off game is not what people were expecting nor wanted; even if it does have the words Shin Megami Tensei. Other issues regarding the reveal lend to the theory it is not V. As the demon they choose to anchor this teaser was Odin a strong and important deity in the Shin Megami Tensei universe no doubt, one that even played an important role in Apocalypse. However compared to characters like Satan, Lucifer, and Metatron he doesn’t invoke the dichotomy of Order and Chaos at the heart of all main titles. Beyond that lets be frank compared to how amazing and stylized Persona 5 looks on the PS4/PS3 this looks bad... I know it is a teaser but with Unreal 4 behind it I expected more. Update: Atlus has just announced the 25th Anniversary Event will also include a Nintendo 3DS title independent of the Switch title. From Nintendo itself the first party line up leaves much to be desired. (Please note though this is totally just personal preference) Splatoon 2 and Super Mario Odyssey while looking polished, much more polished then some other titles on offering to be honest, didn’t quite grab me. At the moment it just wasn’t a major hook. For fans outside of the Nintendo fandom who’d like a point of entry once more, Mario and Splatoon just didn’t do it. That being said when Nintendo uses the words “Sandbox Mario game” even these non-Nintendo fan ears perk up, that sounds cool. My last issue is that I can’t help but have flashbacks to the Wii U’s launch. With the promise of cool games in the far off, with good Nintendo titles sooner, but right now feast your eyes on ports... and oh boy do they have ports. Hey at least they’re Game of the Year Editions right? With Skyrim taking the place of the Wii U’s Batman Arkham City: Armored Edition as the cool but kind of old Western Hit for a Nintendo launch it fell to Japan to pick up the slack and they... kind of did. Namco seems to have some faith announcing confirmed titles including what seems to be an enhanced port of Dragon Ball Xenoverse 2 (Working Title) and also confirming the ever popular Tales of... series will return to a Nintendo home console. The first since the abysmal failure of Tales of Symphonia: Dawn of the New World nearly a decade ago (Tales of the Abyss 3D is amazing on the 3DS by the way). Strangely considering how Japan-centric this event felt Dragon Quest XI the uber-popular franchise from Square Enix was relegated to an off stage press release. Taking it’s place was an announcement of a port of the charming but quite limited Tokyo RPG Factory role player I am Setsuna which should excite fans who don’t have a PS4 or Steam but likely not many others. Unsurprisingly Final Fantasy didn’t make an appearance either. This brings me to the final issue I foresee. Price. At $300.00 USD it’s equivalently priced with the base models of both the PlayStation 4 and Xbox One. Plus with only timed free online a potential differentiating point is moot. Furthermore at $399.99 Canadian us unlucky enough to live north of the border are paying a $25.00 Nintendo Tax just because. We’re also looking at $90.00 games again once taxes are included and now we don’t have cheaper portable games either... To put that in perspective a standard PlayStation 4 with Uncharted 4 is going for $339.99 (with Taxes about $400.00) in Canada right now on Amazon. While a Switch + Zelda pre-order will run you close to $550.00 dollars all in, forgive me if I’m not lining up to purchase. Taken all together today is the day I officially step off the Nintendo Switch hype train. As a 3DS “Ambassador” I’ve been burned by an over priced console with a lot of potential and a sweet looking Zelda before. I don’t plan on making the same mistake again, as the idea there won’t be a substantial price drop within the year is kind of funny to me. AS there has to be price drop, $300.00 USD and higher in other territories just isn’t sustainable right now. Especially in 2017 coming off two amazing years of gaming with gigantic games promised for its competitors in the near future. There be monsters, Nintendo better be worried.